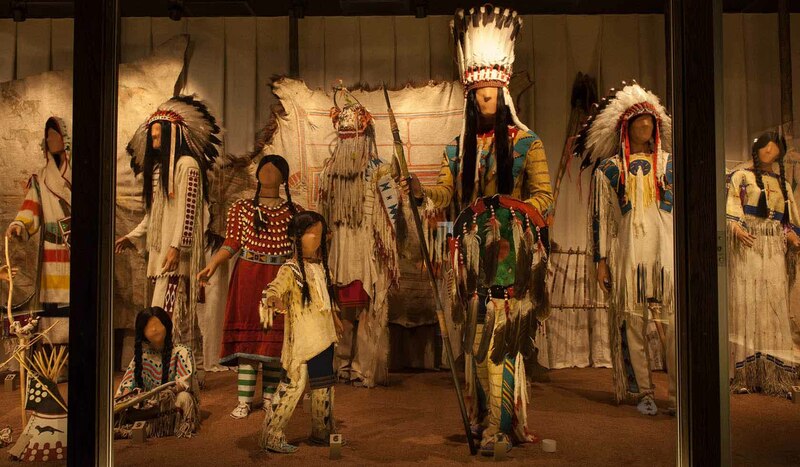 Museum of the Plains Indian is a permanent exhibition gallery, which presents a rich collection of historic arts created by tribal people of the Northern Plains. There are three dioramas. Carved wood panels by Blackfeet sculptor John Clarke are on display. Come and admire the murals by Blackfeet artist Victor Pepion. We are open seven days a week during the summer season and there is an admission fee. June-September: Tues thru Sat: 9:00 am - 4:45 pm. Close Sun & Mon. October-May: Mon thru Fri: 10:00 am - 4:30 pm The IACB recommends that you call the Museum at 406-338-2230 to confirm the hours listed above. 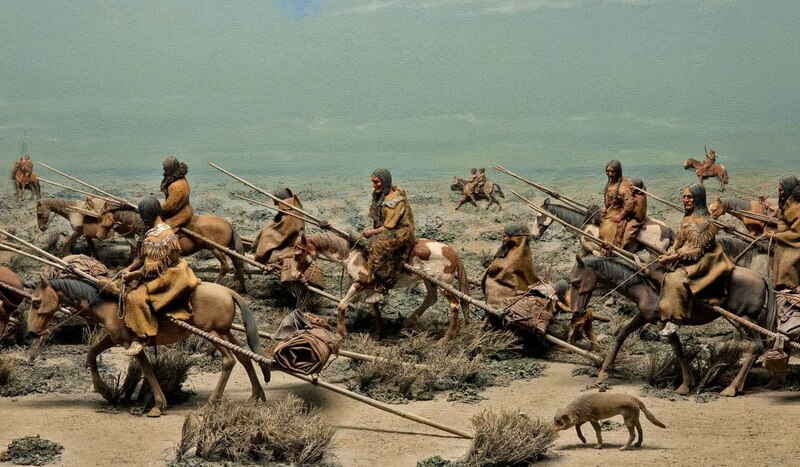 Museum of the Plains Indian is located at the junction of Highway 2 and 89, west of Browning.